Novation’s Circuit is a budget marvel. As a drum machine alone, it’s a steal – particularly with the ability to load your own samples. But also hidden inside are two synths based on the Novation Nova. There’s one piece of software that really lets you maximize all these capabilities: the Circuit Editor plug-in from Isotonik. It’s got two major advantages. One, it lets you get inside all the hidden powers of the synths and drum machine locked into the Circuit hardware, not only as an editor but with extras like randomization and morphing. The upshot of that: you can use the editor to set up your box for jam sessions and improvisation, or to take onstage. Spend your time in the editor tweaking, then leave that behind and focus on playing when it comes time to play (in the studio or onstage). Two, it integrates all of this with your DAW. So, when it’s time to actually finish tracks, you can store all your hardware settings inside your production environment for easy access. That’s essential of course when it’s time to actually make a track in Ableton, Bitwig, Logic, FL Studio, or whatever. 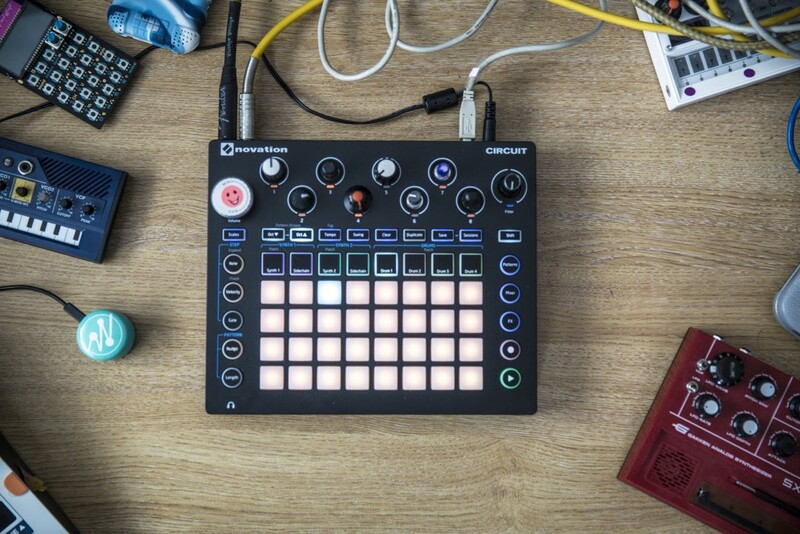 Now, for Novation’s part, we saw yesterday the launch of Circuit Components offline. That’s an awesome tool for loading your own samples, making backups, and sharing settings, now both offline and online. But think of this as the advanced companion – now with editor features that go far beyond what the related editor distributed officially by Novation provides. And what I love most about this is that the poor boy’s / poor girl’s groovebox is now a real powerhouse. That box is cheap, it’s small, it’s perfect for those who can’t afford a lot of gear (or, like, carry-on luggage fees even). It’s a reward for simplicity — without being simplistic, since you can go as deep as you want with the editor. It works in VST (macOS/Windows), Audio Unit (Mac – these days mainly for Logic), and standalone (macOS, Windows).